Home » Whitley Strieber – Fact or Fiction? 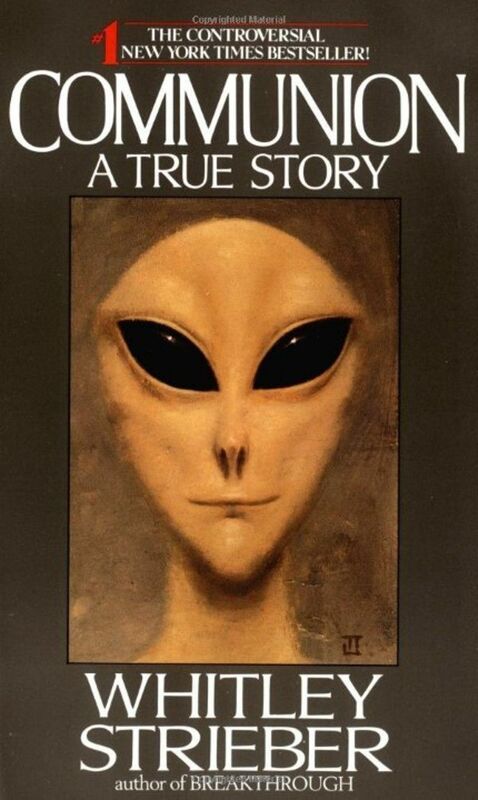 Whitley Strieber is a fictional horror writer of some repute who first published his account of his alien abduction in his best-selling book, ‘Communion’, in 1987. It was later to become a film, starring Christopher Walken, in 1989. After the massive success of ‘Communion’ the whole picture of what was happening with abductions changed, particularly in North America. Jenny Randles has calculated that the number of alien contact cases involving Greys rose from none prior to 1987, to 34% after this date. While these figures are disputable, they highlight the effect Strieber’s account had on UFOlogy. One could argue that this effect, generated by the pen of a fictional writer, highlights the fictional basis of abductions, but, as ever in Ufology, things are not that simple. Strieber’s accounts are profound. Author of “The Wolfen”, there is no doubt that this man is a fine fictional author. In 1985 Strieber read Jenny Randles’ book “Science and the UFOs”, and reacted in horror to its contents regarding alien abductions. He realised that many of his nightmares and partial memories might hide a hidden truth, and contacted researcher Budd Hopkins. Budd conducted hypnosis on Strieber and, sure enough, the memories of a terrifying ordeal at the hands of the Greys emerged. The next couple of years saw Strieber piecing together the abduction jigsaw from his emerging memories of these events, and then publication of the account of his experiences. Being a well-known author, his book was publicised widely and sold well. Its success reflects his brilliance at portraying his erstwhile quest to come to grips with what had happened to him. Filled with self-doubt, but also passionate advocacy of his claims, he opens the eyes of the reader to the terrifying implications of the abduction experience. Few other authors have been able to relate this human angle so vividly. Many readers of the book subsequently came forward as potential abductees, in the same way that Strieber himself had. Hence the huge leap in the reported encounters with Greys. This does not, in itself, mean that their accounts are bogus. It could reflect the hidden nature of their memories, that Strieber’s book, acting as a catalyst, helped to bring to the surface. This emergence of evidence seems to reflect the findings of the Roper opinion poll that concluded that there are potentially 4 million abductees in the USA. In a sense, ‘Communion’ and the follow-up books present a subjective human experience, grounded in a physical reality, yet strongly pointing to a spiritual evolution triggered by the alien encounter. Strieber also deals with the government cover-up of the UFO mystery in some depth, and also penned a historical novel about Roswell and the governmental reaction to it, entitled ‘Majestic’. Becoming such a popular advocate of the Extraterrestrial hypothesis, he has become a central figure in UFOlogy. But his background as a horror writer remains his Achilles heel. Who’s to say that he’s not making it all up for commercial reasons, or worse, a stooge of the Government, producing accounts designed to shift the UFO world-view away from the portrayal of aliens as human-like? Many UFO researchers have noted the artistic abilities exhibited by people who claim encounters with aliens. Often they are seen to experience a sea-change in their lives after their encounter, becoming more talented on many levels, more acutely aware of environmental concerns regarding the Earth, even discovering psychic and other paranormal abilities. Their UFO experiences seem to catalyse a certain New Age awareness and spiritual evolution. Does this connection lead us to the inference that many artistic people are, in fact, abductees with hidden memories of a lifetime of ‘communion’? Developing this line of reasoning, one could see how the Strieber experience is a real one. Like the chicken and the egg, the pattern of alien encounters through his life, repressed into the deep sub-conscious for many years, created in him the ability to write so well. His horror stories may have reflected the bubbling up of these screen memories into his consciousness. The werewolves as his artistic depictions, but screening the personal reality of the Greys. His personal mental battles to find his truth inevitably lead us all to look within ourselves. We, at Cosmic Conspiracies, have asked ourselves these self-same questions. Why does this whole subject hold such an overwhelming fascination for us? Are Dave and Mart’s many UFO sightings and paranormal experiences an indication of something else going on? Was my bizarre childhood and equally bizarre experiences of my mother caused by some external force? Can we put our shared artistic and musical abilities down to a subconscious evolution brought about by them? Or is this senseless extrapolation, an urge to discover a cause that is not there? If we underwent hypnosis, would our cultural background shape the emergence of an existential reality that had no basis in fact? If nothing else, Strieber urges us to discover the reality that underlies these questions.